The 8 Orange Renovation, located in the main hospital at Riverside Methodist Hospital, was unique in many aspects. Andrews analyzed the budget with the hospital’s team to determine where their limited funds had the most effect. 8 Orange was the renovation of the General Surgery floor, which consisted of all the patient rooms, toilet rooms, offices, and nourishment area on the floor. 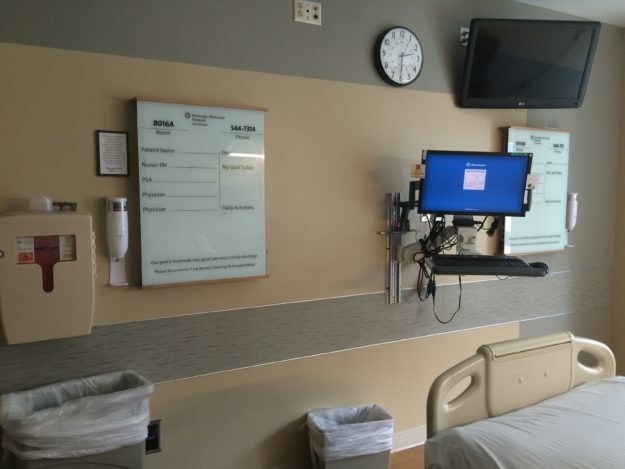 Paint and wall protection were creatively used in the patient rooms to give a modern aesthetic. 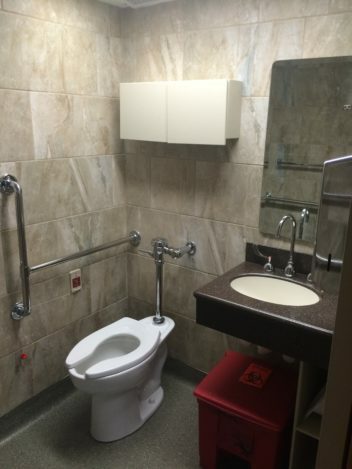 The patient toilet rooms were the biggest challenge of the project, due to fitting the needs of the user into the small existing square footage. The creative solution was a low storage shelf for bed pans and a storage unit above the toilet for measuring devices. All the surfaces needed to be cleanable and sturdy, therefore, solid surface material was utilized. The nurse servers, located in the entry to each patient room, were altered to meet the current needs of staff and patients. The reconfiguration of the closets’ top doors from sliding to hinged made access and usability easier. 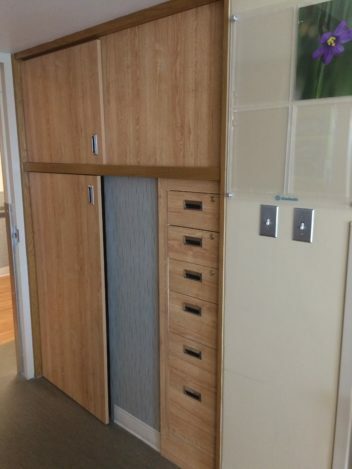 The reconfiguration of the bottom sections gave each patient more space for their personal belongings.